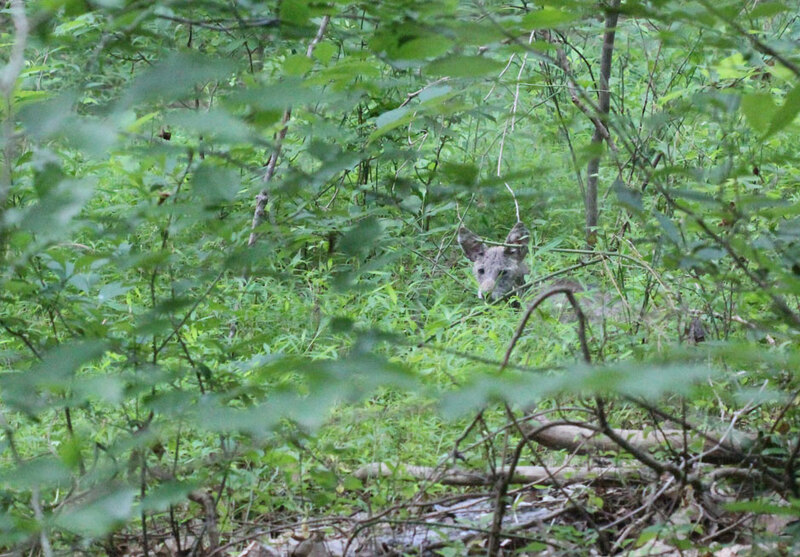 One of the most exciting things about visiting Fairfax County parks is encountering wildlife. A family visit to a playground is made more special when a child points in awe at a deer moving quietly through the trees. A walk along a stream valley trail is more memorable when a fox scampers into view, even if only for a brief moment. And catching a glimpse of a bald eagle soaring high above a lake can make a bad day of fishing slightly more palatable. Wildlife is abundant on parkland, but you have to spend time in the parks for your best shot at seeing something extraordinary. 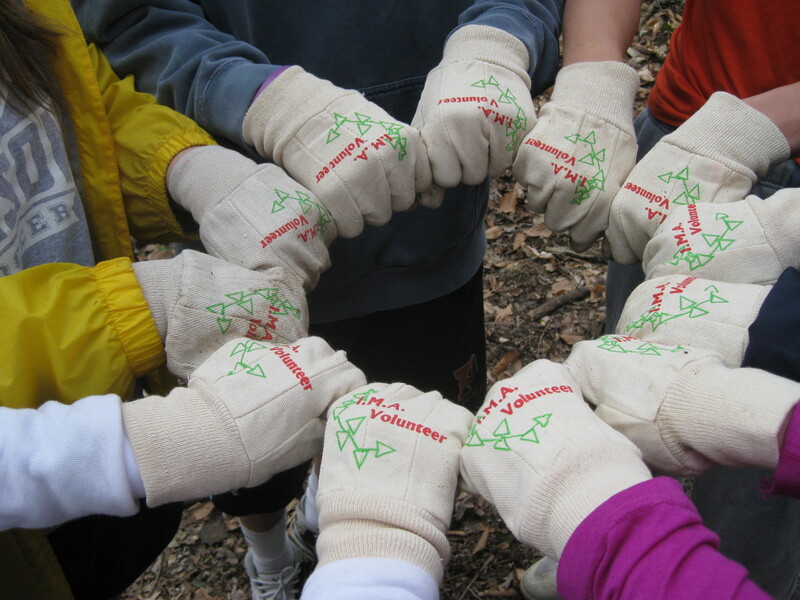 IMA volunteers work together to restore parkland by removing invasive plant species and planting native species. One group that spends a significant amount of time in parks is our Invasive Management Area (IMA) volunteers, our frontline defense against the spread of non-native invasive plant species. These intrepid volunteers endure searing heat, stifling humidity, stinging plants, and painful thorns as they search for invasive plants to remove and replace with native species. 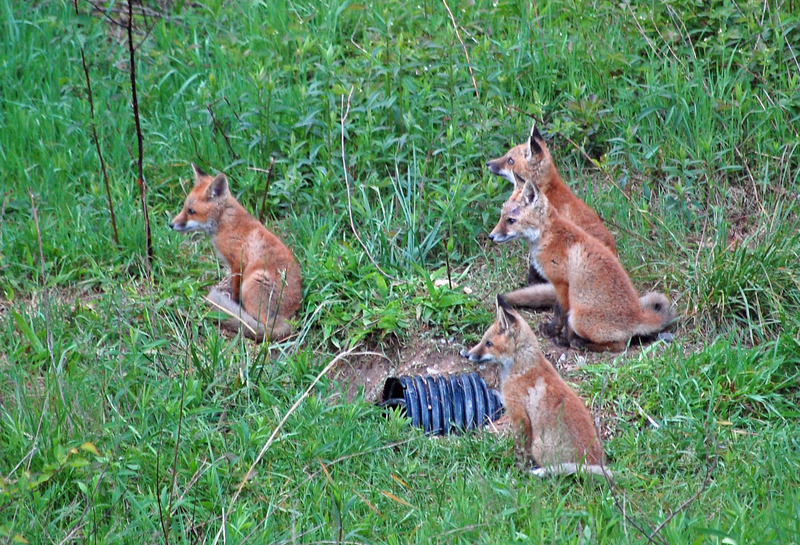 Because their work often takes place off the beaten path, IMA volunteers also frequently encounter wildlife. July is Parks & Recreation Month. As we celebrate Parks & Recreation Month’s GET WILD theme, we thought we’d share some of our IMA volunteers’ incredible wildlife sightings. Enjoy these retellings and keep an eye out for wildlife in the parks and around your home. Your wildlife encounter, whether simple or spectacular, will be a story you can share with family and friends for many years. Porter used to be fond of gardening barefoot, at least until she nearly stepped on a copperhead. “Barefoot appears not to be a good idea,” she advises. One summer, Porter’s cats brought 16 small snakes into the house including one that tried to escape by crawling inside the piano pedals. IMA Volunteer Renee Grebe photographed a pair of coyote pups as they crossed a creek on a downed log. Wilson Harris was intrigued by a red fox that recently visited a bird feeder in his front yard. “The fox was just sitting placidly there. No sign later of any carnivorous activity” Harris has also seen box turtles ambling across his yard. When Greg Sykes isn’t volunteering with IMA he’s taking photographs, and wildlife is one of his favorite subjects. While kayaking at Royal Lake he snapped a photo of a pair of egrets that came closer and closer to him. “I thought they might try landing on my boat!” he said. Sykes has seen foxes and kits by a den, sometimes with a dead goose or duck. On another kayaking excursion, this time at Lake Accotink with his dog, a bald eagle landed right in front of them. 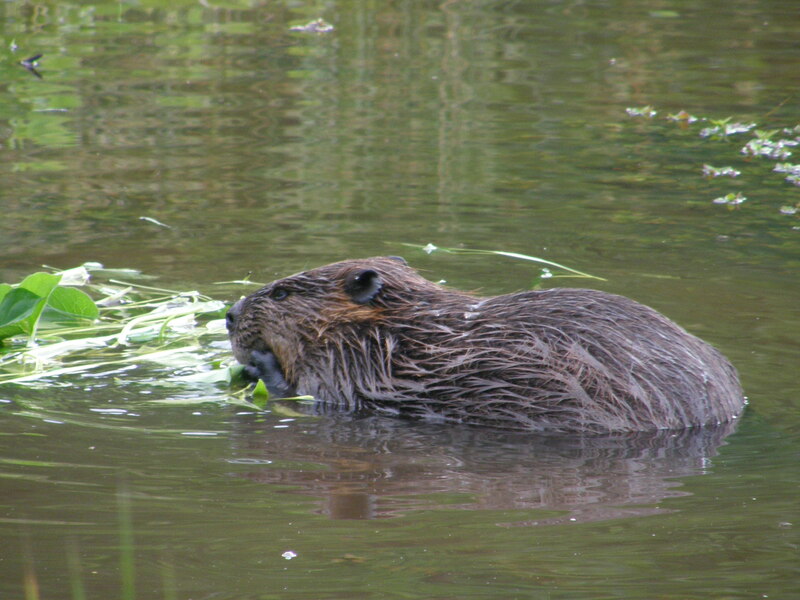 Beavers are a common sight in lakes and creeks. Remember, Get Wild this summer and spend some time in the parks. You’ll be surprised and amazed by the wildlife encounters waiting for you there. Have you had a memorable wildlife encounter in the parks? We invite you to share your story in the comments field. 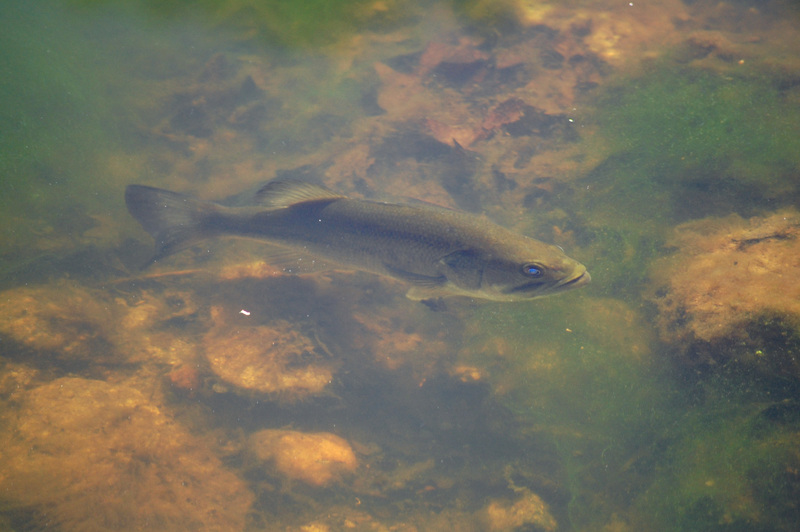 You can view and print brochures about wildlife and other stewardship topics here. 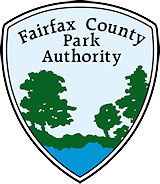 This entry was posted in Uncategorized and tagged #NRPAGetWild, Beavers, Box Turtles, Clermont, Coyotes, Fox, Get Wild, IMA, Invasive Management Area, Lake Accotink, Loftridge, Nottoway Park, NRPA, Royal Lake Park, Wildlife on July 25, 2012 by Fairfax County Park Authority.